Comments: Subject to a number of insect and disease pests, including verticillium wilt. Makes a reasonably good open lawn specimen tree. Blooms can be quite showy in spring on large trees. 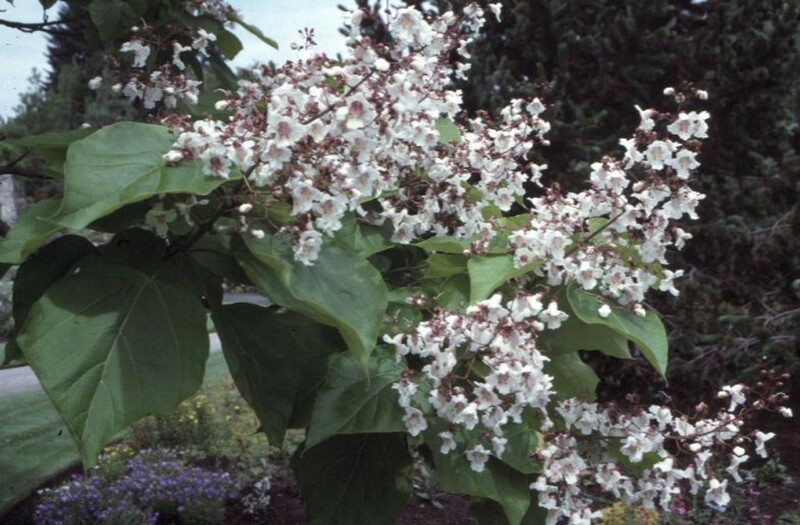 Catalpas bloom after most other trees so they become quite prominent in landscapes when in bloom.